ITS MODULAR DESIGN, MINIMAL DOWNTIME, AND ITS NEAT DESIGN. For years, solid state SCR rectifiers have been used for all types of plating applications. SCR rectifiers are inherently large, have a higher ripple, a lower power factor and in most cases a lower efficiency than high frequency switch mode rectifiers. Simply put, switch mode rectifiers cost less to operate, have much lower ripple, have higher efficiency, have a higher power factor, are more compact, and are more easily serviced than SCR rectifiers. The application of these FlexKraft switch mode rectifiers are numerous and have been used for plating of gold, nickel, zinc, chrome and plastic surfaces; anodizing, pickling and much more. Plating shops and process plants can be tough places to operate in. Therefore, our rectifiers must be even tougher than the surrounding conditions to guarantee continuous operations at maximum output. FlexKraft is protected from everything, from short circuits to excessive temperatures. Ripple is low, efficiency is above 90%, and at any load the power factor is +93%. FlexKraft is available with single or dual output and gives you plating power up to 48,000 Amps. The modular design allows FlexKraft to run on reduced power if a fault occurs in a module. The rectifier is operated from the front and can be serviced on-site by a local electrician, to keep downtime to a minimum. This reduces the potentially high costs of a standstill and increases your plants' availability. FlexKraft is a good choice if you want to lower your costs. The condensed and convenient FlexKraft units can be placed side by side or built on top of each other, facilitating an easy fit into your plant's design to optimize precious floor space. Furthermore, they are easy to install and maintain. Each rectifier consists of up to ten modules and naturally two or more stacks can be connected to allow for higher currents (0-48,000 A) and voltages (0-60 VDC). Thanks to the modular design, you only pay for the power you need. We’re flexible! Should you need more power later on, simply add more modules. Metafin Supply Company supplies Spare Parts that are not listed on our website. Please call us now at (847) 740-1599 and speak with a Customer Service person who can help identify and find the exact replacement parts, I/O Boards, and troubleshoot your system and processing problems. 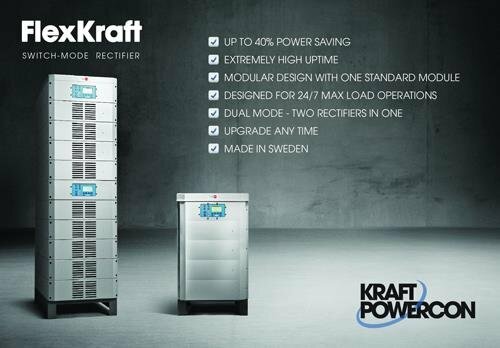 FlexKraft™ Air-Cooled Rectifiers provide premium DC power and performance for demanding industrial environments. Designed for 24/7 continuous operation under harsh conditions, the rectifiers include unique features such as multiple outputs, upgradeable power, self-serviceability and fail-safe operation. With its modular design and an output ranging from 0-48,000A and 0-60V and a multitude of Control Options, we offer the flexibility to provide a best-fit solution to meet your most demanding process and application requirements. The FlexKraft™ will help your business save money and become more competitive by reducing energy consumption and maintenance cost while increasing output and improving product quality. It’s not just another black box — it’s there to power your success. With more than 80 years of experience, we won't let you down! Click: FlexKraft Video Demo - Removal and Replacement of a Module. FlexKraft™ Water-Cooled Rectifiers provide premium DC power and performance for demanding industrial environments. Designed for 24/7 continuous operation under harsh conditions, the rectifiers include unique features such as multiple outputs, upgradeable power, self-serviceability and fail-safe operation. FlexKraft Water-Cooled cabinets are fully sealed to protect the power modules from the surrounding environment and are a great choice for very harsh and corrosive environments. The ControlKraft Touch is a state-of-the-art touchscreen control system designed to operate in harsh environments for industrial applications. The controller’s modern design eliminates the need – and unnecessary cost — of multiple control units as it allows the end user to independently control up to 10 FlexKraft™ units or up to 20 different outputs from one control screen. Available in four sizes, ControlKraft Touch monitors and displays real time operating parameters, as well as the ability to view process data over a defined time period. The system is enclosed in a sealed case specially designed to withstand harsh, corrosive environments commonly encountered with industrial applications. The ControlKraft Digital allows the user to remotely control our FlexKraft™ rectifier. The layout and feel of the ControlKraft Digital is identical to the local control on our FlexKraft™ units, which allows an easy transition from local control to remote control. It is possible to run in DC mode or program mode and offers the flexibility to choose between 4 different programs to run, each with 8 steps. Programs can be designed to combine ramp, step, and pulse shapes to best suit the user’s needs.